In 1983, at the world junior championships in Sapporo, Ito finished third -- qualifying, although she was only 14, to compete as a senior the following season. "It never crossed my mind then that I could be a world champion," she says. "I just wanted to do my best in every competition. I'd watch skaters like Katarina Witt or Scott Hamilton, and think, 'Wouldn't it be great if I could skate like that someday?' "
Ito made her international debut as a senior at the 1984 world championships in Ottawa. Over three days of competition she rose from 16th to 7th place; digging herself out of the hole was becoming her trademark. "Even so," she says, "starting way behind and moving up was a lot better than starting high and falling back." For the next few years, playing catch-up was mostly what she did. Why? Simply put, the girl who would become the world's best woman figure skater could barely muster a competitive figure eight. Until last year, competitions sanctioned by the International Skating Union had been made up of three events: an individually composed short, or original, program of 2 minutes, 40 seconds; a choreographed free-skating program of 4 minutes, and the compulsories, which gave the skater no latitude at all. The rules called for the execution of selections from 41 different figures, performed to instructions that specified even whether the skater should trace the line on the ice with the inside or outside edge of the skate. Each figure had to be repeated twice, "without skids or scrapes, double tracings or unpermitted changes of edge." It was akin to an archer putting an arrow through a previous bull's-eye, then splitting the second arrow with a third. Mistakes, flawed circles, deviations from the axis were easy to determine; the judges went out on the ice when the skater was finished and examined the traces. The compulsories were often called school figures. Traditionalists believe that the combination of grace and precision they demand are the very heart of the sport. 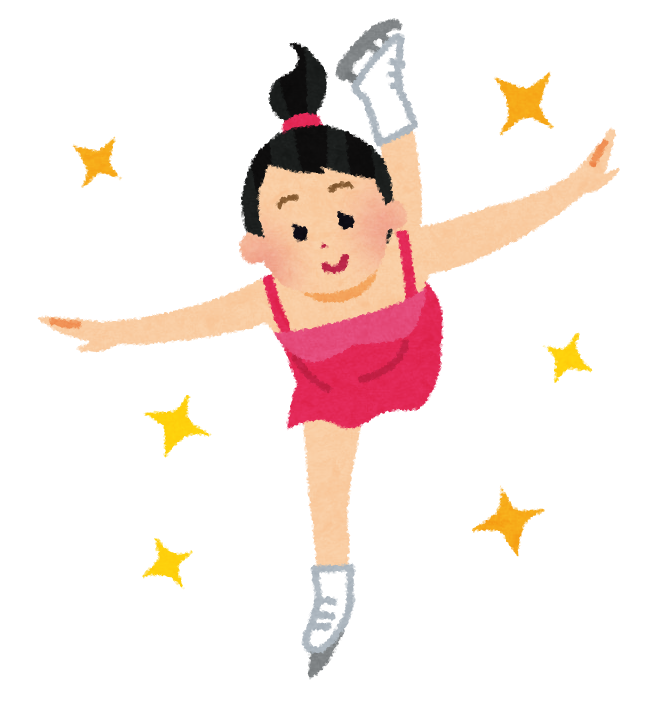 According to Kashio Takizawa, director and secretary general of the Japan Skating Federation, "Japanese skaters have never done very well in the compulsories because they don't get enough practice on clean ice, where they can see the tracings." In all of Japan, there are only 28 skating rinks open year round; just 13 of these are 30 by 60 meters (about 100 by 200 feet), the competition size. All of them are jammed throughout the day with recreational skaters, chewing the surface.